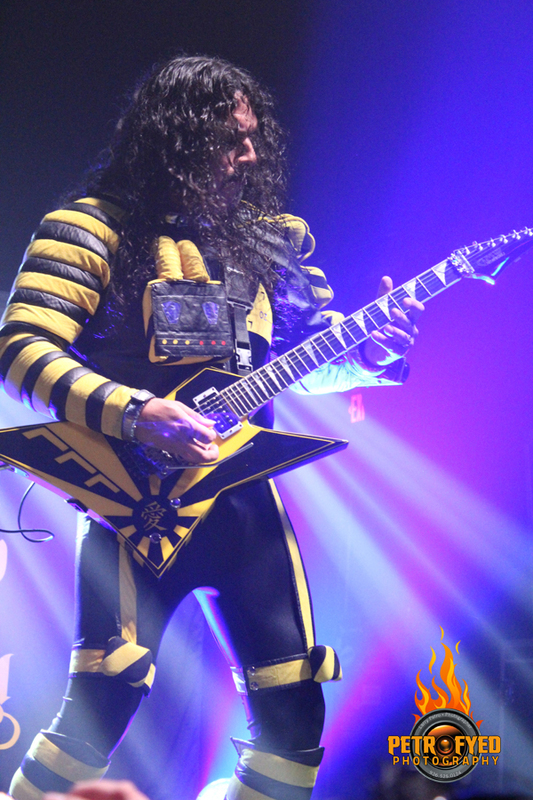 KNAC.COM - Reviews - STRYPER In Houston, TX With Photos! 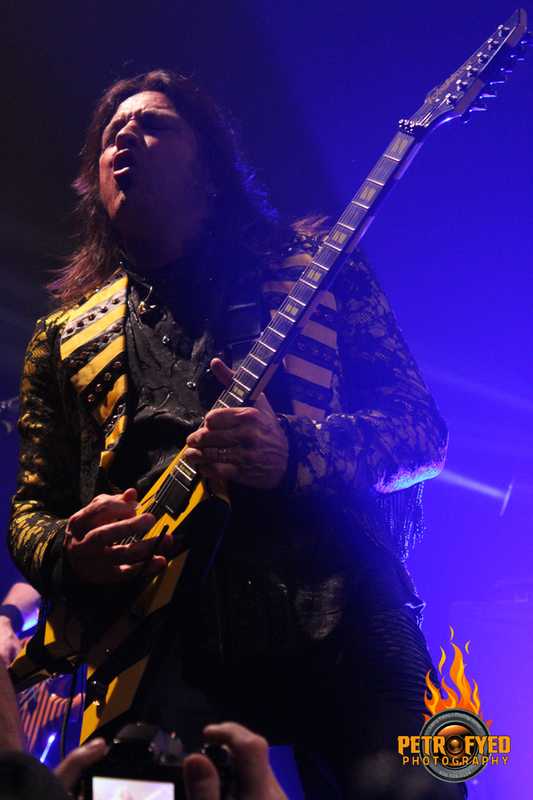 STRYPER In Houston, TX With Photos! 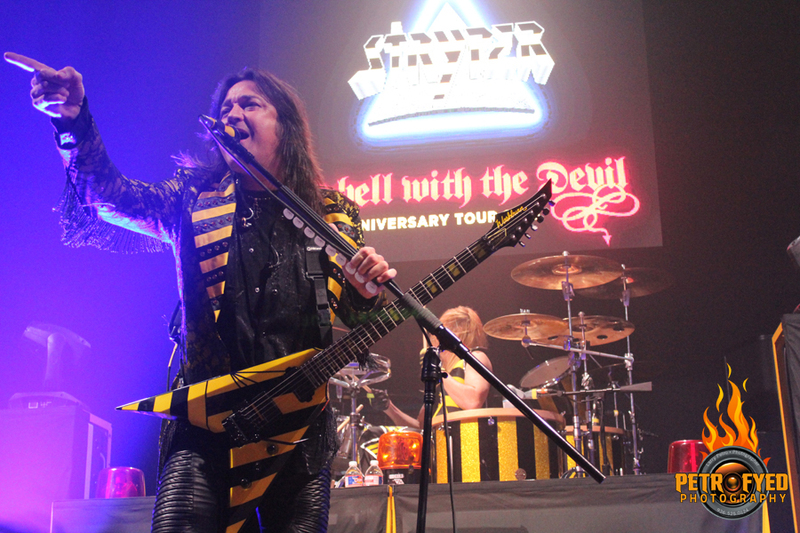 Few albums had as much breakout impact on their respective bands as STRYPER's seminal 1986 release, To Hell With The Devil. In a very short period of time after the album dropped the band instantly went from playing clubs and theaters to much larger arenas. 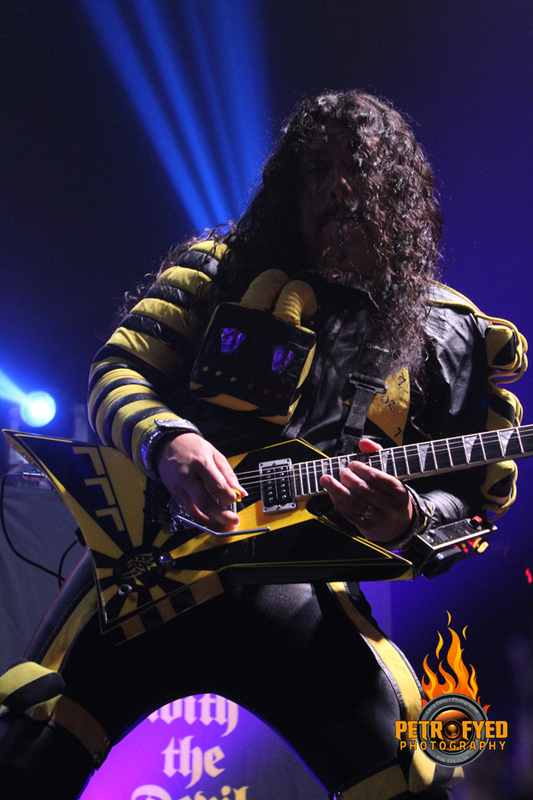 Nothing would be the same for STRYPER after that as their popularity soared, thanks in large part to MTV, where the THWTD album spawned several popular videos, including two #1s on the iconic music channel, "Free" and the smash ballad "Honestly". 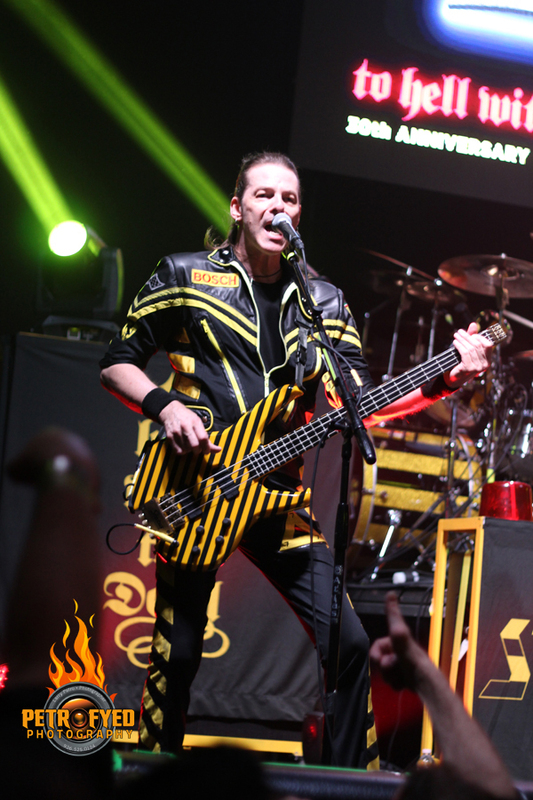 Having just wrapped up a tour for their most recent release, Fallen, the band had little time to catch their collective breath before heading back out on the road once again to celebrate the 30th anniversary of that legendary THWTD opus which included performing it in its entirety each night. 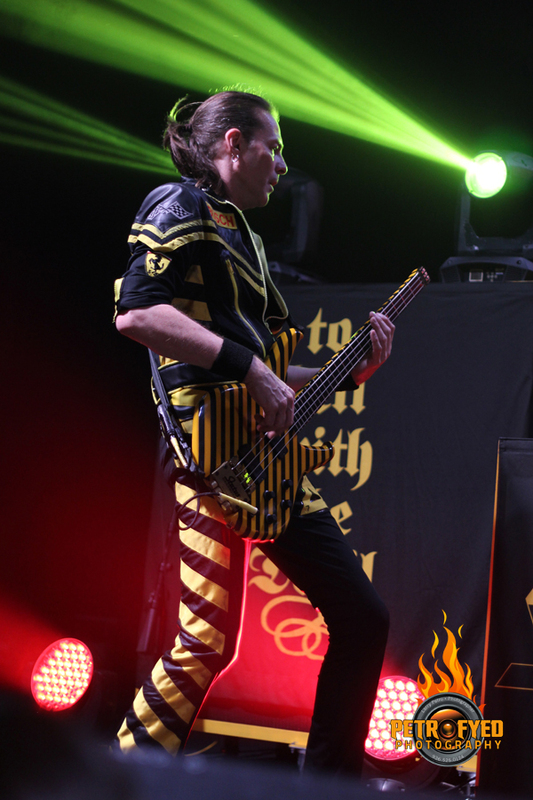 The fact that it was also revealed shortly after the tour was announced that the band would be taking a hiatus after its conclusion made this tour that much more desirable to see. About a week into the tour the band made a stop in Houston, Texas for a show at White Oak Music Hall, a brand new venue on the north side in the shadow of downtown. The venue itself is beautifully designed, with multiple performance stages inside (both upstairs and downstairs) and an amphitheater-style outdoor stage, which I was told wasn't quite finished yet, which was a little depressing because this night would have been the perfect weather for an outdoor show. It was very refreshing to attend a show at a venue that smelled new and hadn't yet been trashed by years of concerts. I headed down early for the meet and greet, which included some pretty cool items such as a sealed vinyl copy of the THWTD album, an 11 X 17 tour poster and a chance to win an RIAA Platinum Award for the said album. Things got started a little later than advertised (we were let in at 7 instead of 6:30) but once inside things ran very smoothly and orderly. As luck would have it, it turned out to be a good thing attending the meet and greet because we all got to stay inside the venue instead of having to go back outside and wait in line with everyone else to get in. This played in my favor because the venue had no photographer barricade in front of the stage (hopefully they will add one in the future) and getting good pics from the show would already be a challenge with having to squeeze in shots between the inevitable sea of hands and cellphones that would be held up. I took a spot dead center about 3 feet from the stage and there I stood for the next 4 hours. I didn't dare make a move to grab a drink or take a bathroom break because there's no way I would have made it back up front in a packed house. The opening act for this show was Dallas based MILLENNIAL REIGN, a fantastic melodic Christian metal act that I first reviewed back in April when they opened for AZRAEL'S BANE's CD release show. 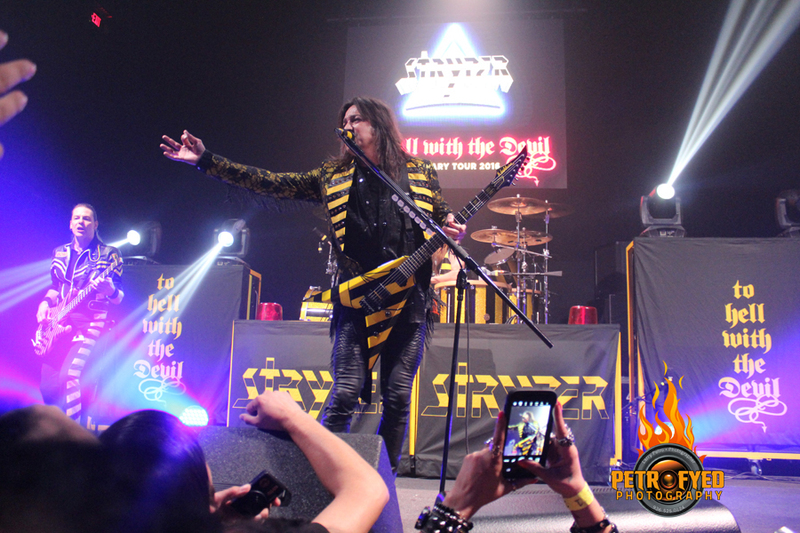 This band, comprised of vocalist James Guest, guitarists Dave Harvey (ASKA) and Jason Donnelly, bassist Daniel Almagro and drummer Wayne Stokely (ex-PRETTY BOY FLOYD), could not have been a more perfect fit to open for STRYPER. 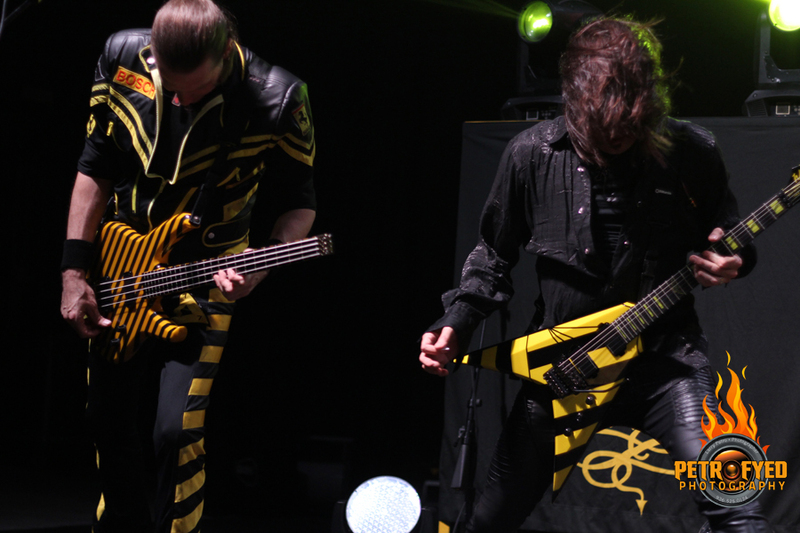 They played a 45 minute set of original material that rocked the house and got everyone primed for STRYPER's appearance. This is one band you should check out! 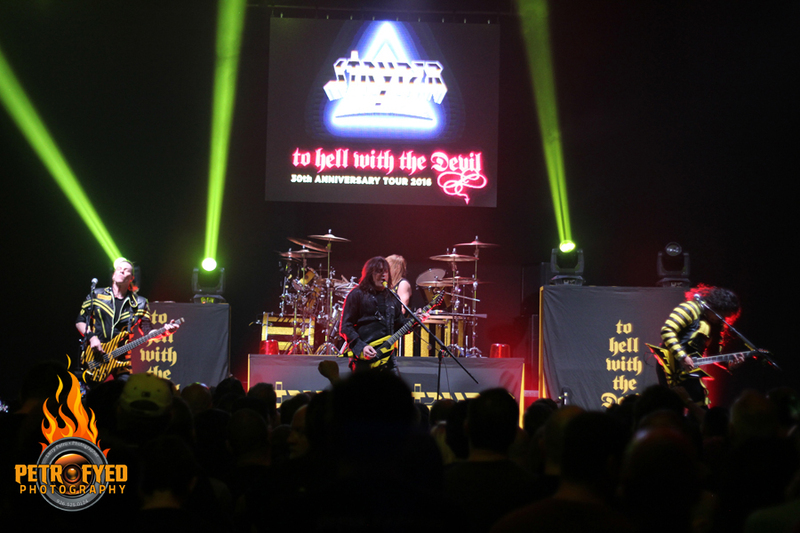 Following a fairly quick stage changeover the lights dimmed and a video appeared on the back screen, narrated by Michael Sweet, that told a brief history of the band's formation and career up through the release of To Hell With The Devil. 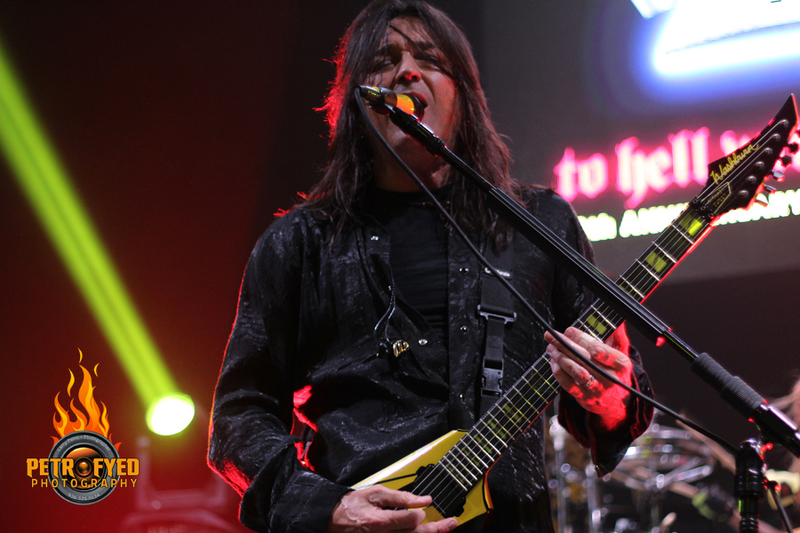 At its conclusion the opening strains of the album's intro track "Abyss" filled the hall as the band took the stage. 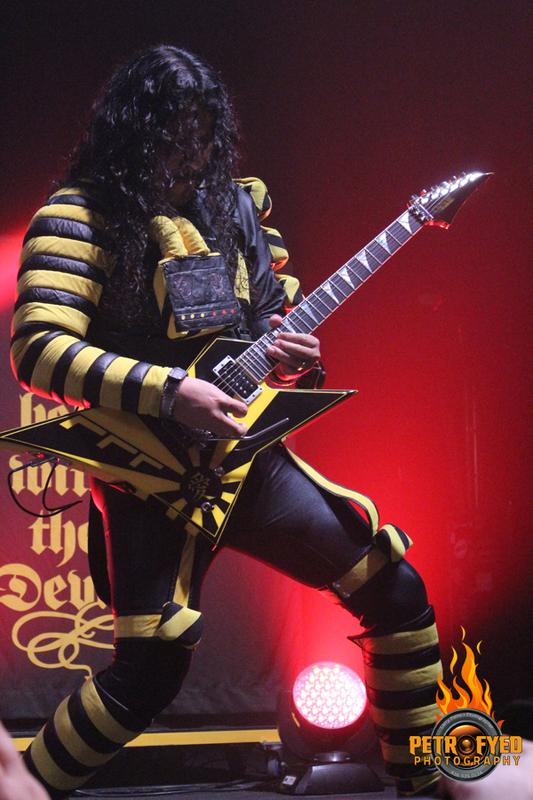 Dressed in the original replica garb from that era of the band they launched into "To Hell With The Devil" and it was on! The band was on fire and sounding great, especially in this new venue. Now, a buddy of mine (the singer for local Houston rockers TAME FURY) had in his possession a drawing that Michael Sweet had done on his first day of second grade (how he obtained such a piece is interesting in and of itself) that he was going to get signed after the show. 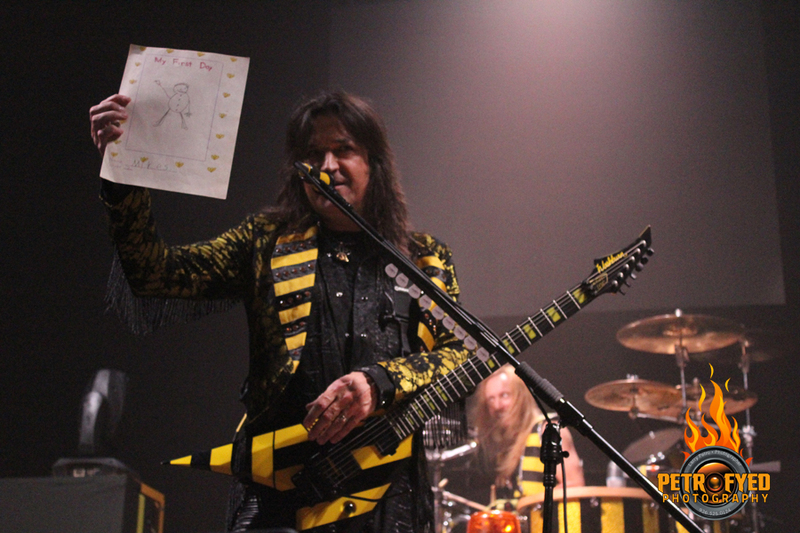 Michael was completely unaware that he had this drawing and at the urging of several of us, he held the drawing up for Michael to see while he was addressing the crowd after the opening number. Needless to say, Sweet was completely taken off guard by this revelation (pun intended) and held the drawing up for everyone to see, quipping, "You know, the funny thing is, if I had to draw this picture again today it would look exactly the same". This unscripted moment temporarily made him lose his train of thought and was one of those things that I'm sure he won't soon forget. Regaining focus the band continued on performing the rest of the THWTD which included such tracks as the aforementioned 2 #1 MTV hits and others like "The Way", "More Than A Man" and "Calling On You". 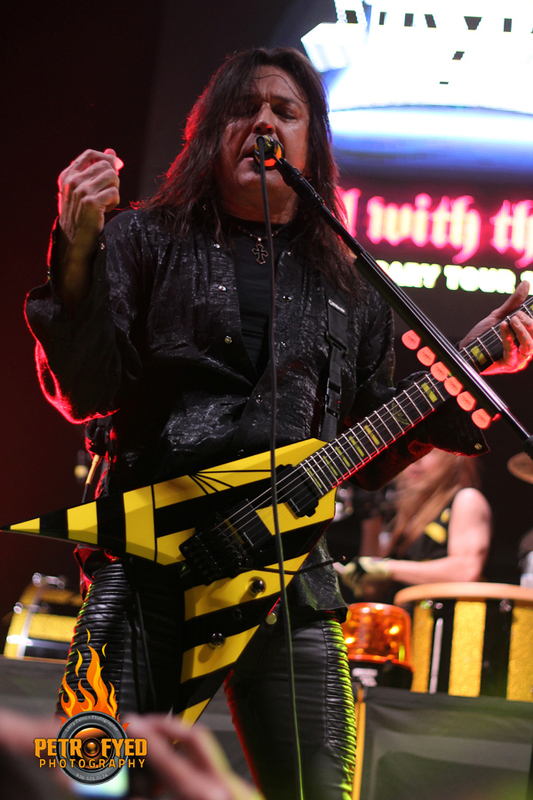 Following the conclusion of the album the band took just a brief break, which allowed Michael and guitarist Oz Fox to change attire, which probably benefitted Oz the most as his initial wardrobe consisted of what looked like a yellow and black striped spacesuit that had to be uncomfortably warm for him the first part of the show. The band returned to the stage as their version of "Battle Hymn Of The Republic" played across the sound system. 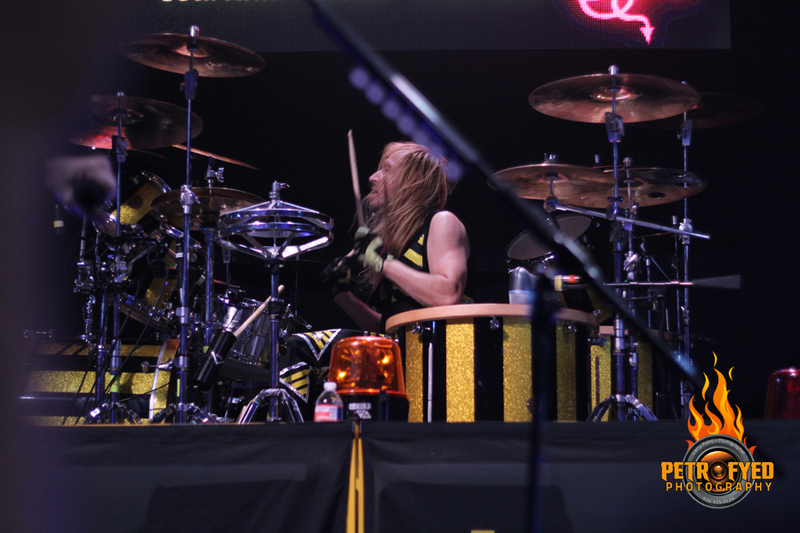 The band then launched into "Yahweh" from the most recent Fallen album and off we went again. This part of the show was a set of seven songs from other releases and a few surprise additions that I hadn't heard performed in some time, most notably "In God We Trust", "Caught In The Middle" and "Surrender", one of my favorite tracks from the Soldiers Under Command release. The others played were "God", "Revelation" and set closer "Soldiers Under Command". 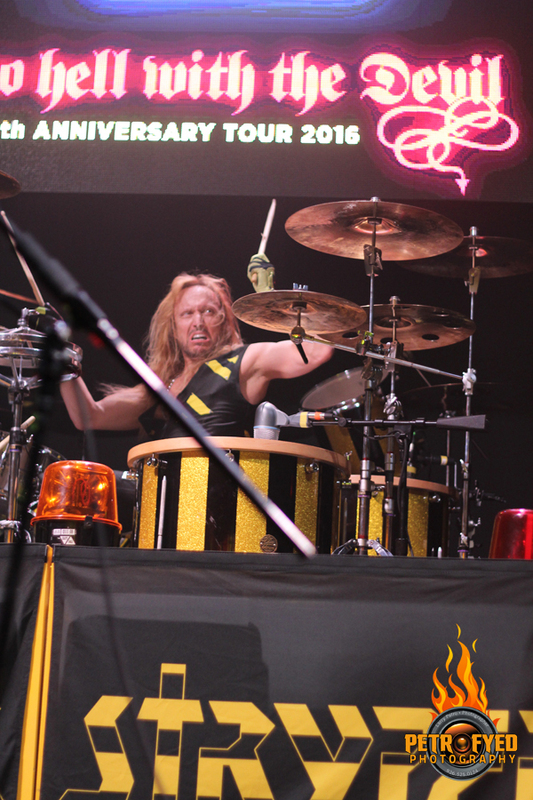 There was an app that you could download and vote for an encore song for the band to play and at this show the fan chosen song was a first for the band on this tour, the song "King Of Kings". The band then finished for the night with "Reach Out" and "Makes Me Wanna Sing". The band is still at the top of their game and hopefully the upcoming hiatus will be short-lived. But just the specter of a long break should be enough of an impetus for you to catch this tour while you can, especially since this is the only time you'll ever hear this album played all the way through.